This is so typical. For a couple of years, no new Akira Kurosawa books get published in English. And then suddenly, not one, not two, but three new books are on the way! And they all seem to be coming out next month. Here’s a quick overview of what to expect, based on what I have been able to learn so far. I will publish a full review of each book after its publication. 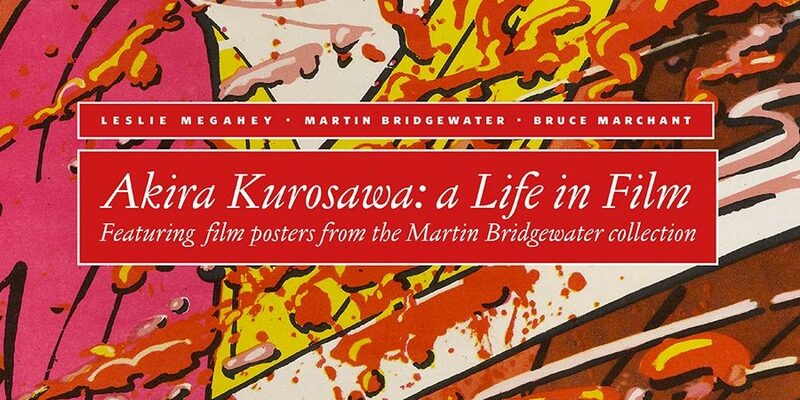 With its 200 colour pictures spread across 256 pages, Akira Kurosawa: A Life in Film by Leslie Megahey, Martin Bridgewater and Bruce Marchant takes a unique approach to Kurosawa’s works by looking at them through the prism of his film posters and other artifacts. Ninety film posters have been selected from the Martin Bridgewater collection of Kurosawa posters and they come from all around the world. Akira Kurosawa: A Life in Film is listed to come out on December 15, 2018. It is published by Sylph Editions and is available for pre-order from Amazon.com and Amazon.co.uk, among other places. 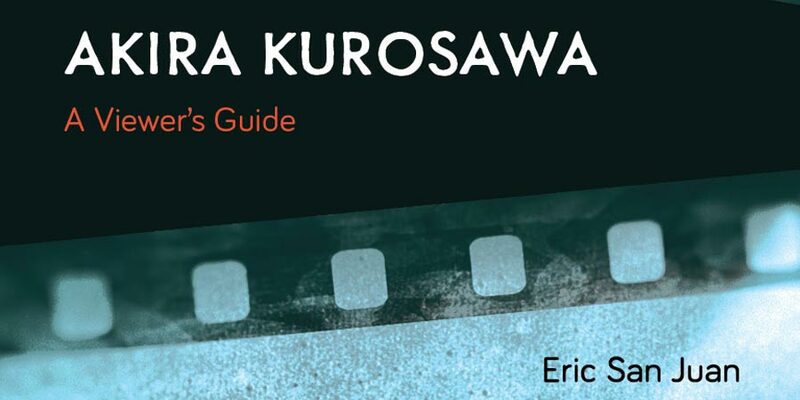 Eric San Juan‘s Akira Kurosawa: A Viewer’s Guide aims to provide a comprehensive, yet easily accessible examination of Kurosawa’s entire filmography. It is written for a reader who is interested in learning more about Kurosawa’s films but is not ready to tackle the current, fairly academic career spanning studies like Richie, Prince or Yoshimoto. In many ways, it feels like this could be a perfect companion to Peter Wild’s 2014 biography Akira Kurosawa, which was aimed at a similar target audience. Eric San Juan has previously written about a wide range of subjects, including Alfred Hitchcock and the television series Breaking Bad, The Walking Dead and Mad Men. In anticipation of the book’s publication, the author has dedicated November for posting mini-reviews of Kurosawa’s films on his website. Akira Kurosawa: A Viewer’s Guide is (also) listed to come out on December 15, 2018. It’s published by Rowman & Littlefield Publishers and can be pre-ordered from Amazon.com and Amazon.co.uk, among other places. In On Kurosawa: A Tribute to the Master Director, the British author and speaker Peter Tasker presents a tribute to Akira Kurosawa in the form of essays, poetry and short stories. According to the publisher’s blurb, the book explores “both Kurosawa’s legacy as well as the internal realities of his works”. The book features images from Kurosawa’s films, as well as behind-the-scenes photographs by Kurosawa’s set photographer Akihide Tamura. On Kurosawa: A Tribute to the Master Director is published by Zen Photo Gallery and is scheduled to come out this year. It can be ordered from Shashasha.co where you can also see some photos of the apparently quite gorgeous looking book. Pre-ordered one, have an email coming when one is available (A Life In Film), and ordered A Tribute to A Master Director. Adding three books to my pretty decent library is a good thing. Thank you so much. I received the Peter Tasker book today. It is beautiful. I will report on it later, but my initial impression is wow!